Avoid adding fattening ingredients, such as sugar, creamer, milk, honey, whipped cream and others to your coffee. Coffee itself contains virtually no calories. However, add several high-calorie ingredients to it, and you've created quite a fattening drink. 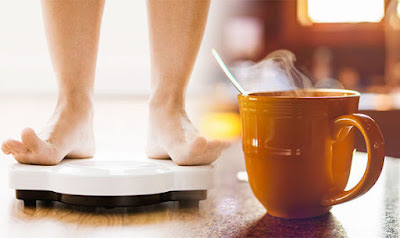 Your goal is to lose weight, and adding calories to your coffee is only going to result in weight gain rather than loss. If you happen to purchase coffee at a coffee shop or restaurant, order non-fat rather than frappuccinos, machiattos and lattes loaded with calories. Drink coffee in the morning and between meals. Most people already drink coffee in the morning to get them going, so the first step won't be that difficult to adopt. Drink coffee between meals because to prevent you from snacking between meals--most people snack between meals when they get hungry. However, if you drink coffee rather than snack, your appetite will be reduced by caffeine, which will prevent you from snacking and consuming unneeded calories. Moreover, the caffeine will provide you with an energy boost that will get you to your next meal as well.